Here is the latest trailer from 20th Century Fox for the fifth and latest installment in the X-Men franchise. 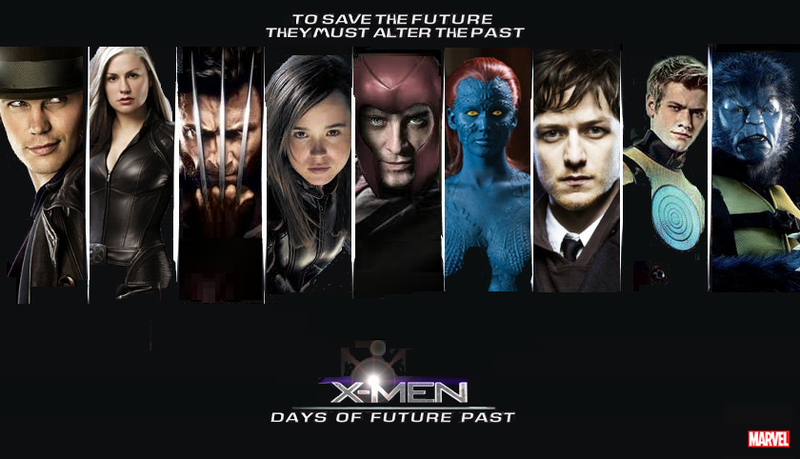 Set in the future, this movie is essentially a sequel that bridges with the prequel First Class, with the X-Men’s future selves teaming up with their past selves in order to prevent an all-out war between mutants and humanity that will lead to a big ol’ apocalyptic clusterf#$@! It’s a novel idea, and one which allows the cast to incorporate both the old cast with the new. This includes Hugh Jackman, Patrick Stewart, and Sir Ian McKellen reprising their roles as Wolverine, Professor Xavier and Magneto in the future; and James McAvoy, Jennifer Lawrence, and Michael Fassbender playing Xavier, Mystique and Magneto in the past. New to the cast is Peter Dinklage (of Game of Thrones fame), who plays the character of Bolivar Task, the new villain for this movie. But as usual, the top billing appears to be going to Jackman and Wolverine… again! Well personally I’ve always loved a good X-Men film (Wolverine is the man!). I just hope that after this one they’ll want to maybe think of a final film. All but one of these films was good, so they might want to slow down and think of ending the series before they start making a string of bad sequels. I know not all X Men have been as good as some others. Nevertheless, I’m a fan and I’ve seen all of them. Can’t wait until it comes!